If you’re a Snapchat fanatic, this is the update you have been waiting for. As if Snapchat couldn’t be any more addicting, the company recently pushed out a major update that brings stickers, audio/video calls to chat. We’re also introducing Auto-Advance Stories, the fastest way to catch up with your friends. When you finish a Story, the next one begins automatically — simply swipe to skip ahead, or pull down to exit! The long-rumored update adds more than 200 stickers featuring walruses, sloths, aliens, and Snapchat’s signature ghost, and they can be searched by keyword, as on Facebook Messenger. 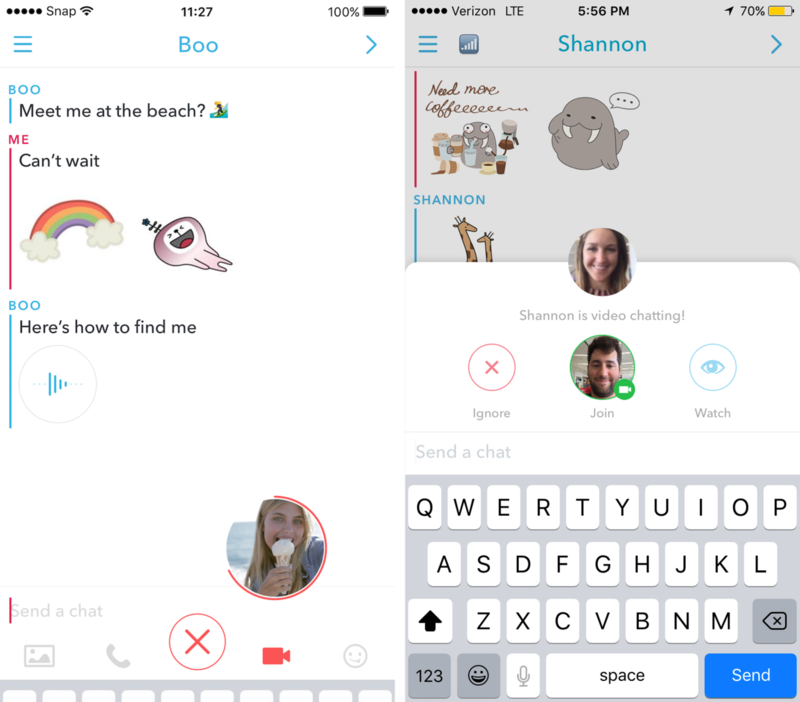 There are also easier controls for starting a video call, allowing you to dial someone who is not present in the chat. You can also choose to chat via audio, and switch back and forth from audio to video during a chat. And if your friend doesn’t pick up, or you just want to send them a reaction using other means, you can record a short audio or video “note” and it will be waiting for them the next time they open the app. Both updates are being rolled out today for iOS and Android. To learn more, click here.